Since the first direct presidential election in 1996, democracy in Taiwan continues to thrive. In the recent presidential and parliamentary elections, voter turnout was high, candidates welcomed questions from journalists, both domestic and foreign, and no question was off limits. Gazing out of my window trying to make out the skyscrapers of central Beijing today is a bit like trying to divine the thoughts of China's leaders. Not easy. A thick smog has settled on China's capital (yet again), and through the murk it is hard to see much beyond the few buildings just across the way. The atmospheric conditions are grim. The US embassy pollution reading on Twitter is well over 300, indicating highly hazardous air quality. Beijing is choking on pollution. As we begin a year when major leadership changes will happen in China, the thoughts of its rising leaders are pretty opaque. It's hard to know what Xi Jinping, the man expected to become China's next president, one of the most powerful positions in the world, thinks about many subjects. As foreign media we have had no real opportunity to ask him any questions. What is his vision for China? Does he want to open up China's political system? Does he think democracy will one day come to China? How would he deal with America? 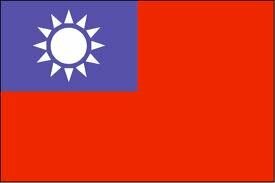 Or Taiwan? I'm just back from Taiwan and a week covering the presidential and parliamentary elections there. Taiwan's skies were almost as grey as Beijing's. But what is striking is how far apart the island feels from China, despite the fact that Taiwan is Chinese-speaking and there is just 100 miles (160km) of sea between them. In Taiwan the politics all happened out in the open - vociferous, passionate and hard-fought. There were TV debates, opinion polls and round-the-clock live TV coverage. Turnout was an incredibly high 80% as Taiwanese flocked to have a say in who should lead them. Right up until the votes were counted we had no idea who was going to win the election. And when it happened it all passed off smoothly. Both winner and loser were gracious at the end. Like a democratic election anywhere, to be honest. Taiwan's democracy is only 16 years old but feels deeply embedded in the island's culture. The sheer openness of Taiwan's politics is in striking contrast to China. When we flew from Beijing to Taipei, within about two hours of exiting the airport I was in the middle of a noisy campaign rally, standing a couple of feet from Taiwan's president, holding my microphone and questioning him on camera. President Ma Ying-jeou paused, listened to my question (in English), answered and moved on. "What is the importance of building closer relations with China?" I asked. "Peace" was his answer. President Ma's campaign schedule was easily available to us. Where he would be every 20 minutes was listed in detail. His staff were happy to help facilitate us, and even the police guarding him were helpful, if watchful. In two years in China I have never been in a position to ask questions of China's president, or other of its senior leaders. I've been in the same room, but usually kept at the back of a hall as a state event happens, or a speech, or a reception for a visiting leader. As a journalist, the contrast between the interactiveness of Taiwan's democracy and the guardedness of China's Communist Party is stark. When I was in Taiwan I spoke to Wuer Kaixi, one of the leaders of the 1989 pro-democracy demonstrations in Tiananmen Square. He fled China after the crackdown and massacre that crushed the protests and has lived in exile in Taiwan ever since. Could Taiwan's democracy one day influence China, I asked him. He replied that many mainland Chinese visitors to Taiwan had been telling him they believe Taiwan's example shows that the Chinese-speaking world is suited to democracy. "I have been hearing this so much from the mainland Chinese tourists who say when will the day come for us so that we can choose our own leaders," Wuer Kaixi told me. And back in China it is striking how much interest Taiwan's election generated among China's 500 million internet users. Weibo, China's version of Twitter, was, by all accounts, buzzing with comments about the election as it happened. Millions followed the campaign, the debates and the results online. The China Digital Times website translated a sample of the Weibo comments. Some were grimly humorous about the lack of democracy, others openly jealous of Taiwan. A user called darkillzhou told a joke that was widely forwarded. He wrote: "Just now, a Taiwanese friend said to me 'I am going to vote tomorrow morning, and we will know who will be the president by the evening.' ... I felt thoroughly ashamed... I could only say to him: 'You guys are so backward. If we had to vote tomorrow morning, tonight we would already know who would be elected.'" Wang Mumu had a similar theme: "You will have to wait until 10 o'clock this evening to find out the result of Taiwan's election. But for next year's transfer of leadership on the mainland, you already know the result. Things are incomparably better here." One Weibo user wrote that "watching the hot presidential election on the other side of the strait, my heartfelt jealousy arises like the ocean waves..."
And another posted that he was out in a restaurant where "there were two TV sets in the diner. The one on the left showed the Taiwan presidential election, the one on the right showed Two Conferences of Guangdong Province. Everyone in the diner was watching the TV set on the left". Some wanted to congratulate Taiwan. "I believe Zhongnanhai [where China's Communist leaders live] and officials at every provincial level are as tense as everyone else on Weibo and are thinking, what kind of impact Taiwan's election without gunshots will have on the mainland. This impact definitely surpasses [the Jasmine revolution]... people in Taiwan are truly great. Once and for all, they have destroyed the 100-year demonisation of the Chinese people [the idea that we cannot have democracy]... Democratic elections do not have to lead to violence." Interestingly China's censors allowed the comments to be posted and circulated online. Chinese TV and radio coverage of Taiwan's vote was much more closely controlled. But the official media did feel moved to respond on Tuesday, explaining to those Weibo users why China should not have democracy. The Global Times said there had been "doubts" expressed on the internet, saying: "Someone asks: why can't the same election be held in the mainland?" It went on: "Because China is so large, it risks falling apart at any time. Thus maintaining unification and ensuring overall stability has become an inescapable mission for China."